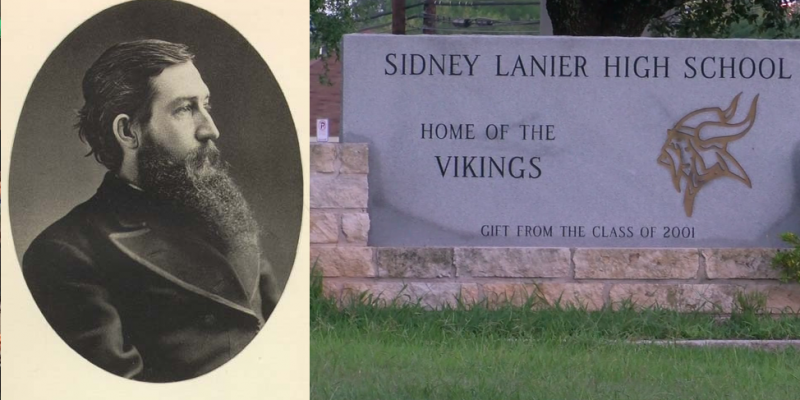 In the most recent attempt to remove any monuments to Confederate figures, the Austin Independent School District board voted to rename Sidney Lanier High School in north Austin Monday night. Lanier became a renowned poet and musician following his service during the Civil War. His crime: he served on the Southern side. The school will now be called Juan Navarro High School, after a local veteran who died in the War on Terror in 2012. This marks the last known Austin ISD school with a name associated with the Confederacy. The school board had earlier voted to rename Zachary Taylor Fulmore Middle School (a heroic CSA private) after still-living teacher Sarah Beth Lively, the John T. Allan Career Center (named for another heroic CSA enlisted man) after former principal and administrator Anita Coy, and John H. Reagan High School to Northeast High School. Reagan’s crime? He was the CSA Postmaster General (in addition to later serving as a U.S. Congressman). An informal poll conducted by a local newspaper found most residents were opposed to changing the names. A bill to preserve historical monuments such as campus names has been referred to the powerful House State Affairs committee but has received no action at this time. Sidney Lanier High School is now situated in one of the most economically and racially diverse neighborhoods in Austin, and is a source of pride and community involvement for the north and northeast corridor of the city. 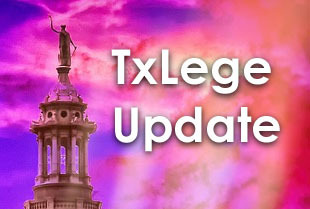 From the hip: the liberal-progressive Democrats who run the Austin ISD continue to eradicate any memorials to their preferred party’s early heroes. The children in these schools have been taught to deny that many of these men and their descendants were capable of progressing beyond support for slavery. Despite any solid points made by board members, this decision ironically undermines both the philosophical and partisan foundation of the liberal establishment.